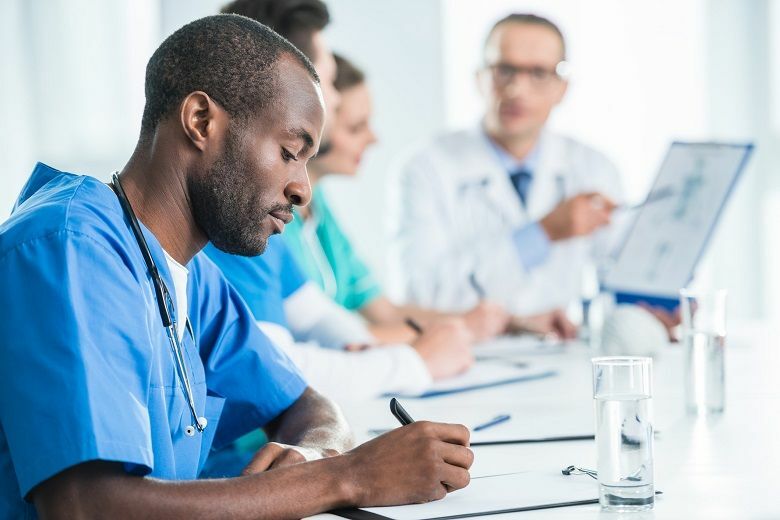 Strong writing skills play a vital role throughout an entire nursing career, from documenting patient outcomes and communicating with other healthcare professionals to cataloging data for accreditation and detailing information to meet legal and regulatory standards. Registered nurses (RNs) who develop clear, succinct and authoritative writing styles can express important information. Writing in the nursing profession can also be used to start a nursing blog, apply for a promotion, write academic papers and draft proposed changes for a healthcare organization. June Kaminski, editor in chief of the Canadian Journal of Nursing Informatics, said all nurses should develop their writing skills for two audiences: other healthcare professionals and the public. When writing for other healthcare professionals, RNs should use strong and clear scientific language. When writing for the public, the style is more relaxed, ensuring people of all literacy levels can understand. Learning to write is a skill that takes time and practice and is essential to RNs who are planning to boost their career options. Some of the leading nursing schools also offer RN to BSN curriculums that focus on helping students improve their writing skills. The beginning stage of any nursing career begins with nursing school, which may include completing applications and writing personal statements. The statements are intended to impress admissions staff while highlighting professional successes. After admission to nursing school, students will be expected to write position papers, health histories, care plans, research papers, exams, nursing notes, lab reports and case studies. This type of writing often includes overarching themes, well-researched information and a logical structure. At most nursing schools, the RN-to-BSN curriculum requires students to use the four types of writing ― expository, descriptive, persuasive and narrative. Many RN-to-BSN online programs also rely heavily on writing skills because of participation in online chats or message boards. RNs who have experience as writers are often encouraged to seek freelance writing opportunities in consumer health magazines, blogs, newsletters and newspapers. Determine the topic, target audience and the type of article to write. Examine other articles to determine what kind of coverage your idea has gotten in the past or if there is a gap in current literature. Review author guidelines for journals and periodicals to cover the chosen topic. Submit written inquiries (called query or pitch letters) to determine publications’ interest in the subject. Prepare a well-written outline detailing the points to be covered in the article. Complete and transcribe the appropriate interviews and take time each day to write. When the piece is completed and proofread, submit the article to the editors. If the article is approved for publication, complete the necessary edits. If it was rejected, find out the reasons behind the decision and get tips for making corrections. For RNs, writing in the nursing profession is a fact of the occupation. Learning to write in a clear and concise manner helps nurses in all aspects of their career, from earning an RN-BSN to earning advanced degrees to working as a professional nurse. When reviewing RN-to-BSN curriculums, students who are considering RN-BSN online programs should evaluate how much focus is placed on writing skills. At Duquesne University, students accepted in the RN-BSN online program complete a writing module that is intended to encourage better writing and grammar skills. Duquesne University’s online RN-BSN program allows RNs to learn advanced skills to meet the new standards of practice. RNs can earn their degree through a 100 percent online platform that provides the flexibility that professionals and working parents need. The university also provides one-on-one faculty mentorship and the opportunity for student assignment collaboration. The faculty members are RNs who have years of experience in clinical and classroom work. For more information, contact Duquesne University now.